Today, a very quick post about Microsoft Flow. You want to get the manager of the user that created a document to approve a document. You don’t want to specify who the manager is within the flow. Instead Flow should find the manager. 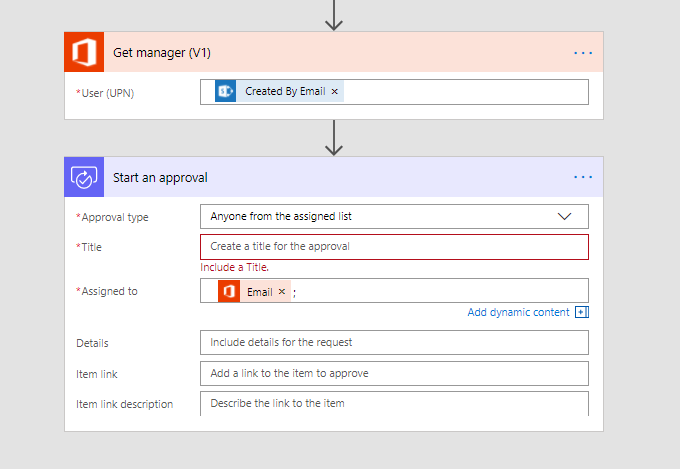 What will happen if a use that starts the flow does not have a manager identified in their profile? Hi Dean, Then you will get an error. But that is something you could handle in your flow. Hi, i wouldn’t just see flow as a direct replacement for SPD, it is many times better and more flexible. Yes some if the actions available before might not be there, but you can do it all and a lot more without too much effort. Flow isn’t just for automating some small steps. It is both for small and large flows. It simply gives you a no code automation tool.